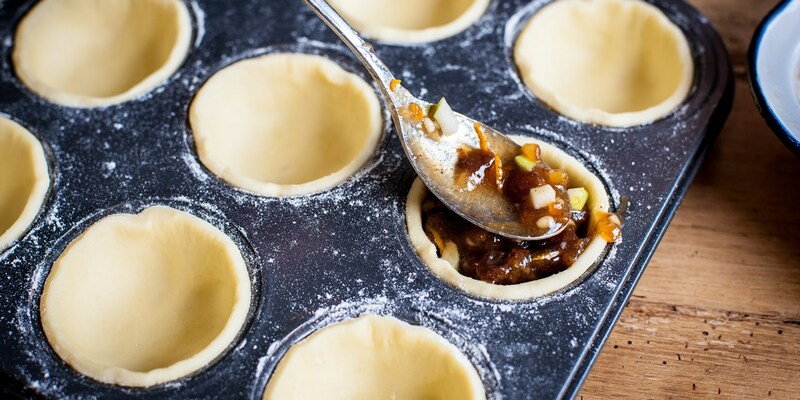 From cakes, breads and biscuits, to staples like mince pies, Christmas is certainly the time to get baking. Not only can baking for Christmas offer a fun way to get the family together, it can also result in personalised, homemade treats to give as gifts to family and friends. This recipe collection offers all forms of Christmas baking inspiration, from quick and easy Christmas eve nibbles like Nathan Outlaw's cheese straws, to show-stopping dessert centrepieces such as Martin Wishart's linzer tart. For a twist on a classic Christmas pudding, try Paul A. Young's chocolate Christmas pudding - a luxurious, decadent treat for any chocoholic. For a taste of a Danish Christmas you can't go wrong with Sally Abe's Aebleskiver and Vaniljekranse - Danish Christmas butter biscuits recipes.